Twelve months ago, we asked the women of Australia this simple question. We asked, because we held the belief that more than a few would say yes. Because even though women were (and still are) grossly under-represented in the startup ecosystem, all the evidence suggested the ideas were out there – they just hadn’t found a way to the surface. We were right. 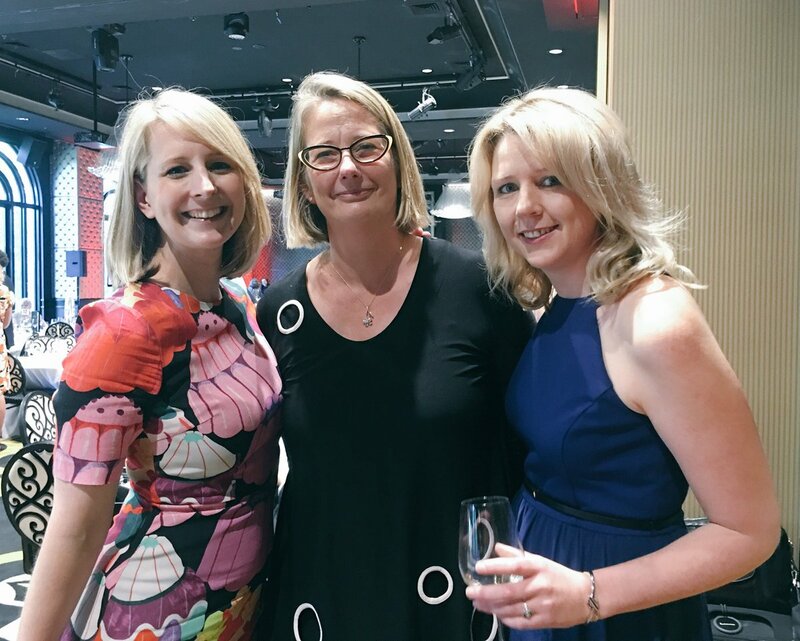 More than 800 women responded with a strong and resounding ‘yes’, sharing their ideas and joining the chorus of innovators eager to give it a go. From this huge pool of potential, an incredible group of women were selected to take part in the inaugural SheStarts program which kicked off at the end of January 2017. The founders – most of them completely new to the world of technology – have since taken their ideas from concepts developed in their lounge rooms, and turned them into globally scalable tech startups. 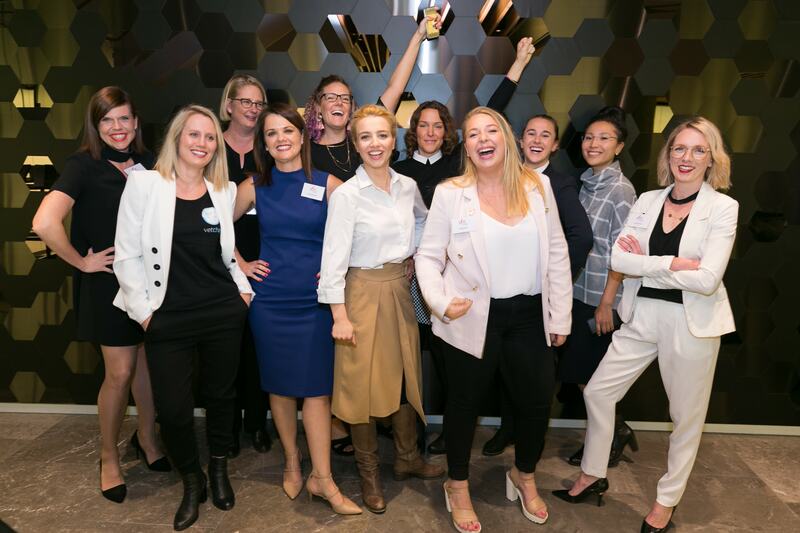 If you’re wondering what applying for SheStarts could mean for you and your idea, look no further than the incredible women who have come through the program this year. The startups in the inaugural SheStarts program represent a diverse range of industries including AgTech, FinTech, SmartCities and ConsumerTech, with technology applications including blockchain, IoT, big data analytics, digital currency, machine learning and artificial intelligence. They are solving global challenges in financial security and transparency, environmental sustainability, urban design, accessibility and inclusion, animal welfare and social diversity. Since graduating from the SheStarts accelerator in August 2017, these women have been building and growing their companies, kicking off pilots with major corporate partners, pitching to investors for seed funding, winning awards, hitting the press, and stepping into their new roles as emerging leaders in the startup economy. Just last week, as Neighbourlytics co-founders Jess and Lucinda launched their live social analytics platform, co-founders Jessica and Lucinda were both taking to the stage at separate major international placemaking conferences in Cairns and Philadelphia – sharing with leaders across their industries the power of data in urban design. Meanwhile, BanjoMaps founder Dr Anna Wright was being invited on the stage at two separate awards ceremonies in one night – for the Service Innovation Awards and the Smart City Awards in Sydney – hot the on heels of her nomination for Emerging Entrepreneur of the Year at the recent Women’s Agenda Leadership Awards, recognising the incredible community impact her technology can have on inclusion in public spaces. That impact is already rolling out with the BanjoMaps beta test now underway at UTS. For many of the founders, the focus is on raising capital, to grow their businesses now they can demonstrate traction in the market. Vetchat co-founder and CEO Dr Claire Jenkins spoke about her plans for growth with Mark Bouris’ ‘The Mentor’ podcast in between pitch events around the country. Speaking of pitching, Founder of Airloom, Sally Coldham was the only female founder selected to pitch at the Start Jerusalem pitch event – demonstrating the ongoing need to back more women in startups. We loved seeing her name pop up on this ceBit list of startups to watch! In a similar scene, Brontech Co-Founder and CEO Emma Poposka was the only woman on the panel – and one of only a few in the room – for the CryptoSydney meetup hosted at BlueChilli. Emma captivated the crowd with her razor-sharp insights, expertise and vision for the future on the panel. She also shared her views in this recent Huffington Post article as a resident crypto expert. Co-founder and CEO of Longevity, Dr Carla Harris has also been sharing her expertise and thought leadership, with this article on Women’s Agenda on the gender pay gap and what it means for our retirement. FARMPay co-founder Naomi Stuart has been continuing her jet-setting life, travelling between international trips to China and Tel Aviv, five different events in Sydney just last week (including our Female Founders Event at BlueChilli, and another event with Naomi’s global partner Visa) and back to Wagga where pilots on the FARMPay platform are underway with two major Australian grain traders. Since returning from their own travels, appearing at the RISEConference in Hong Kong in July, Otlet co-founders Lauren Meyer and Madi Green have continued to pick up global traction for their SharkShare beta and upcoming Otlet platform, including their latest engagement with the NOAA (look it up! It’s a mouthful…) presenting Otlet to a marine mammal conference in Canada this week. These women and their businesses represent the future of our economy. Diverse, purpose-driven, tech-enabled, and rooted in a desire to make a positive impact in the world. We are thrilled to see hundreds of new ideas pouring in through the application process for round two. If you’ve got a bold idea for a game-changing startup, apply today! P.S Founders selected for the SheStarts program will also feature in series two of the award-winning SheStarts documentary series. At the end of the six-month accelerator program, graduating founders then move into our Global Growth program for alumni – going bigger and bolder with the support of the Federal Government. 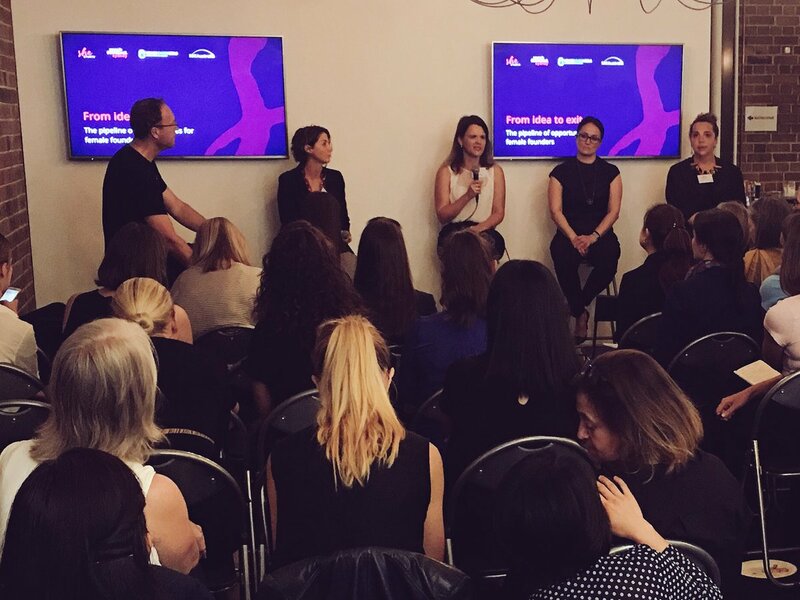 SheStarts is possible thanks to the contribution of ANZ, MYOB, Microsoft and LinkedIn. Be part of the journey every step of the way. Join our mailing list to get the latest news and updates!